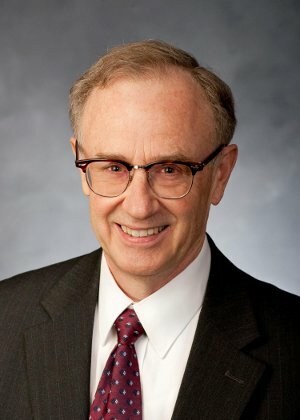 On Tuesday, September 25, at 7 p.m., BYU Professor Royal Skousen will speak on the just-published The Nature of the Original Language, parts 3 and 4 of volume 3 of the Book of Mormon Critical Text Project. The lecture will include additional commentary by Stanford Carmack, Skousen’s collaborator in authoring and researching these two new books. The presentation is free and open to the public. It will be held in the Assembly Hall of the Hinckley Center at Brigham Young University, Provo, Utah. Parking is available after 6 p.m. in the large lot east of the Hinckley Center (Lot 16). The lecture will be videotaped and made available in the weeks following the presentation. 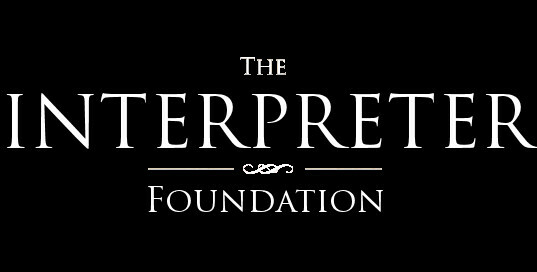 The event is sponsored by BYU Studies and the Interpreter Foundation. For further information, contact BYU Studies (801-422-6691 or byustudies@byu.edu). The two new books are now available for purchase from BYU Studies, the joint publisher of these books, along with the Foundation for Ancient Research and Mormon Studies (FARMS), at https://byustudies.byu.edu/content/nature-original-language-book-mormon-parts-3-and-4-volume-iii-book-mormon-critical-text. The Nature of the Original Language (NOL) continues the analysis of the Book of Mormon text that was begun in Grammatical Variation (GV), parts 1 and 2 of volume 3 of the critical text, published in 2016. In that first work, Royal Skousen (with the collaboration of Stanford Carmack), discussed all the editing that the Book of Mormon has undergone, in its manuscript transmission and in the printed editions from 1830 up to the current edition. Critics of the text have viewed the nonstandard grammar of the original text (“they was yet wroth” and “in them days”) as an indication of Joseph Smith’s dialect, but Skousen and Carmack argue in GV that the so-called bad grammar of the original text was actually Early Modern English and represents language that appeared in published texts from the 1500s and 1600s. In section 12 of NOL, Carmack discusses the syntax of the Book of Mormon and investigates the plural –th ending (“Nephi’s brethren rebelleth”), the periphrastic past-tense did (“they did quake”), and complex finite clausal complements (“he can cause the earth that it shall pass away”). The Book of Mormon’s extensive (and particular) use of this syntax is not found in the King James Bible, nor in Joseph Smith’s writings or in the pseudobiblical writings common to his time. But it was prevalent in the English of the second half of the 1500s. Several sections of NOL are dedicated to showing that virtually every expression that scholars and critics have proposed as representing the language of Joseph Smith’s time turn out to be in earlier English, even striking expressions like “to endure the crosses of the world” and “to sing the song of redeeming love”. And some of these are truly archaic expressions that died out of English prior to 1600 and would not have been used by Joseph Smith in his own language, but there they are in the Book of Mormon, examples like “how be it”, meaning ‘however it may be’, and “never the less”, meaning ‘by no means less’. 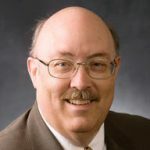 Daniel C. Peterson (Ph.D., University of California at Los Angeles) is a professor of Islamic studies and Arabic at Brigham Young University and is the founder of the University’s Middle Eastern Texts Initiative, for which he served as editor-in-chief until mid-August 2013. He has published and spoken extensively on both Islamic and Mormon subjects. Formerly chairman of the board of the Foundation for Ancient Research and Mormon Studies (FARMS) and an officer, editor, and author for its successor organization, the Neal A. Maxwell Institute for Religious Scholarship, his professional work as an Arabist focuses on the Qur’an and on Islamic philosophical theology. He is the author, among other things, of a biography entitled Muhammad: Prophet of God (Eerdmans, 2007). “On comparing these familiar words with the provincial and colloquial language of the northern counties of England, a most striking resemblance appeared, not only in the words commonly regarded as peculiar to New England, but in the dialectical pronunciation of certain words, and in the general tone and accent. In fact, it may be said, without exaggeration, that nine tenths of the colloquial peculiarities of New England are derived directly from Great Britain; and that they are now provincial in those parts from which the early colonists emigrated, or are to be found in the writings of well accredited authors of the period when that emigration took place. It was a known fact in the 1800s that spoken, not written, English in the Eastern states was different from the English written and spoken in Great Britain. And its form was closest to the same spoken type of English of the early 1600s when the first colonists arrived. Skousen and Carmack have proposed that Joseph Smith could not have known the grammar of an earlier English period. However, in actuality, published writings of the 19th century show that Joseph Smith very likely would have spoken in such a way in casual conversation. I hope that you’ll communicate your view to Drs. Skousen and Carmack. If true, the Book of Mormon language was proper English from an earlier period and it was also Joseph Smith’s contemporary proper language. If so, the interpreters either presented Joseph Smith’s proper language or allowed Joseph Smith to translate the meaning into his contemporary proper language. In my own experience in northern England in 1982-83, I found that in some areas around Lancaster, Kendal, and the Lake District people used certain expressions which seemed to be anachronistic to include words like thee, thou, and thine even though they weren’t necessarily that versed in the Bible or knew much about the language of prayer per se. I don’t know how you would be able to track this down unless it is found in John Russell Bartlett type books. Your question is shared by all of us, but first things first. Before we can know why we must first understand what it is. We are learning that the language is outside of Joseph Smith’s reach. Since the 1830’s we imagined the Book of Mormon language was written in some kind of bad grammar adaptation of the English language from the hills of New York State. The fact that it is something totally beyond the scope of Joseph Smith is important. The fact that it is beyond the assumptions of every critic must not be passed over too lightly, though. To this day people get angry with the Book of Mormon but often they do so without knowing how complex it really is. For whatever the implications of how and why, the Book of Mormon will never again be known to honest students as a simple hoax. We study life. Our minds are Newtonian. We want to know the implications of space time and gravity, but first we must understand that nature truly is as complex as Einstein said it is. We may yet discover the implications of why at a later date. Before we can know the total implications of space, time and gravity, we attempt to discover all that is knowable. Before we derive a simple formula for everything, we have undertaken centuries of research into the furthest reaches of space and time of telescopy. We delve into the tiniest traces of microscopy. We crash together particles accelerated at the highest speeds in giant colliders. We have undertaken super human effort, not only to understand the true nature of things, but to get to the unltimate questions and implications. Why is nature is what it is? We expect Newtonian simplicity but the truth is often much grander than we could ever dream. It is remarkable in itself that the same is true for the Book of Mormon. So what does that mean for BOM historicity and/or translation? If the language of issues of the BOM are primarily from the 1500’s, is this implying that JS based it on some text he had found from the 1500’s? Or that the person delivering this revelation to him was from the 1500’s? (Which seems to make no sense at all.) I don’t understand the implications. Ken Madsen’s response is a sound one. We may never quite know (in this life, anyway) why Early Modern English features appear in the Book of Mormon. Of course, everybody is free to speculate about it. The essential first step to be taken, though, toward understanding why a body of data has particular features is to accurately see or describe those features. Drs. Skousen and Carmack have done that, with regard to the nature of the language of the English Book of Mormon, to an extent, and with a degree of linguistic sophistication, and to a level of meticulous detail that nobody before them ever has.